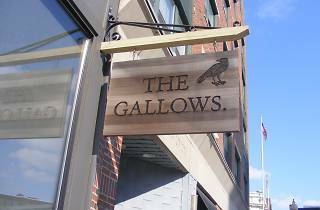 Situated near the spot where public hangings were performed in colonial times, The Gallows plays up its macabre location with an ominous black crow sign above the door. 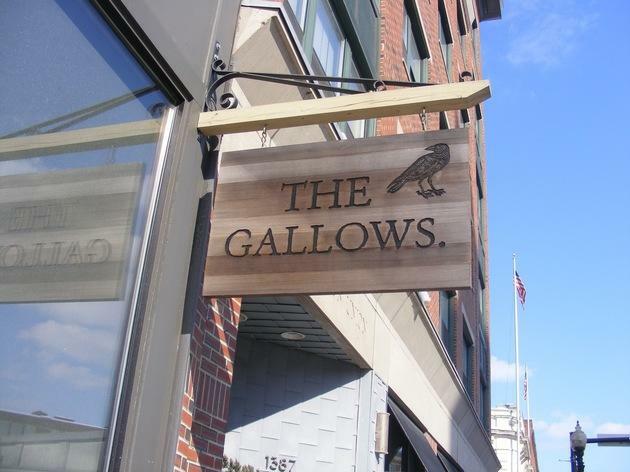 But inside, the bar has a welcoming, unassuming vibe and an inventive cocktail list that highlights original concoctions. The kitchen is famous as one of the city's top purveyors of poutine, and other booze-friendly snacks on offer include scotch eggs and fried Babybel cheese. West Coast-style burgers, made from a custom blend of chuck, brisket, and short rib, compete for attention alongside crowd pleasers such as fried chicken and steak frites.